One two coloured, patterned cushions on the sofa and it's already the star in the room. All our cushions are 50 x 50cm and available in three different fabrics. CANVAS if you prefer it clean and natural. If you need other pillow cases sizes, write us, we make everything possible. 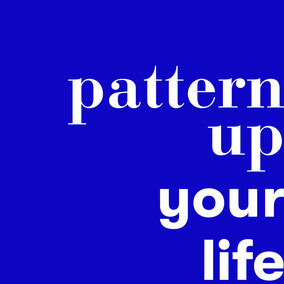 You don't dare wallpaper an entire room, but you love our patterns? Then order the wallpaper as POSTER and for 55,-€ you will let a little of MADEMOISELLE CAMILLEs patterned world in. Just wallpaper one wall or a part of a wall behind a special piece of furniture. Your room will immediatly get a special, individual and unipue look. or write us a message and we will order you exactly the square meter wallpaper you need for your wall. That way you have the least waste and don't have to deal with the pattern repeat, the strips are printed at your room height and fit together perfectly.